What’s happening this week in economics? Deloitte’s team of economists examines news and trends from around the world. Meanwhile, the UK Parliament is expected to vote early this week. However, under the scenario where parliament fails to pass the deal, Britain could still return to the EU and ask for a longer-term extension if it has another plan in mind. Such a plan could entail: pivoting toward a softer form of Brexit whereby the future relationship between the United Kingdom and the EU would be closer to the so-called “Norway” option with closer alignment to the single market, or see the United Kingdom remaining in a Customs Union with the EU, which could possibly command a majority of support in the UK Parliament; it could entail a decision to hold another referendum; trigger a general election; or even revoking Article 50 and halting Brexit. Any request for a longer-term extension beyond April 12 would require unanimous approval of the other 27 members of the EU as well as the United Kingdom participating in the upcoming European Parliamentary elections in May, a legal requirement for EU members that would apply to the United Kingdom through an extension. The possibility of leaving without a deal on March 29 has been removed, but the new potential exit date is only two weeks later. The pressure is now firmly back on the United Kingdom to find a workable solution, and the future path is impossible to predict. The risk of the United Kingdom leaving the EU without a deal remains a material possibility, although on a delayed timetable. Investors and others were relieved that Britain has a bit more time, but the degree of uncertainty has surely not abated. The US Federal Reserve held its benchmark interest rate unchanged last week.1 In addition, it said that, starting in May, it will slow the pace at which it is reducing the size of its balance sheet and that, in September, it will stop reducing the balance sheet. This signals that the Fed is indeed on a new path of stable, rather than tightening, monetary policy. Also, the leadership signaled a strong likelihood that the Fed will not raise interest rates again in 2019. Back in December, only two of the 17 sitting Fed governors and presidents of the regional Fed banks said that they expected no increases in 2019. Now, 11 of the 17 say they expect no increases. The remaining six say they expect either one or two rate hikes in 2019.2 The shift in Fed policy follows indications that inflation is softening, economic growth is decelerating, credit market conditions are worsening, and the US economy is facing headwinds from trade wars and overseas weakness. At the same time, the Fed leaders who remain amenable to raising rates are likely concerned about the tightness of the job market and the resulting acceleration in wages. They probably see this as creating a risk of higher inflation. The value of the US dollar fell on news of the Fed decision. The Fed’s decision, combined with a decline in the purchasing managers’ index (PMI) for manufacturing (more on this below), sent long-term bond yields much lower. It led to an inversion of the yield spread between the yields on the 10- and 3-year bonds,the first time since 2007,5 which was just prior to the last recession. The more closely watched spread between the 10- and 2-year bond has not yet inverted, but the gap is the lowest it has been since 2007. Historically in the United States, an inversion of the yield spread has been a good predictor of recession. At the least, it is an indication of market pessimism about growth. The inversion shook investors, pushing down US equity prices. Commodity prices fell as well. In Germany, many investors were alarmed by a sharp decline in the PMI for manufacturing, indicating that Germany’s critically important manufacturing sector is in the midst of a rapid decline. The yield on the German 10-year bond fell below zero.6 German and European equities fell sharply. Many investors are concerned about the sudden and rapid deceleration of the German industrial behemoth, which has traditionally been an engine of growth for the rest of Europe. Meanwhile, British equities fell sharply as Brexit uncertainty remained top of mind. Emerging market currencies fell sharply, with big declines for Turkey, Argentina, Brazil, and Russia, among others.7 This likely reflected a flight to safety amidst market turmoil. If the three largest economies in the world (United States, eurozone, and China) are in trouble, it bodes poorly for demand for emerging market goods, especially commodities. The change in investor sentiment suggests that the Fed’s inaction likely signaled pessimism about the outlook for the US economy. Moreover, the decline in the US bond yield does not necessarily reflect a change in expectations about inflation. Indeed, the so-called “breakeven” rate, which is a good indication of market expectations of inflation, has actually risen recently—possibly due to the tightening of the labor market and the consequent acceleration in wages. Recall that a bond yield has two components: an expectation of inflation and a real yield that is a reflection of supply and demand conditions in the bond market. So, if inflation expectations have not fallen, then the drop in the bond yield reflects a decline in the real (inflation-adjusted) yield. That, in turn, likely reflects declining private sector demand for credit. And that likely reflects pessimism about the economic outlook. The Fed appears to be focused on preventing an economic downturn. It has explicitly worried about headwinds facing the economy. One of the interesting things about the current situation is that the Fed has halted interest rate increases when rates are at such a historically low level. What does this mean? First, rates are low, in part, because inflation is historically low. Yet after accounting for inflation, rates are still historically low. That is, the real (inflation-adjusted) federal funds rate is barely above zero, which was not the case in past recoveries. Second, the world is awash in excess savings at a time when investment is relatively weak. The latter may reflect slow population growth. It may reflect uncertainty about trade wars. It may also reflect the chilling effect of technology disruption on the willingness of businesses to make big bets. Thus, we appear to be in a long-term environment of very low borrowing costs and relatively weak investment demand. And it appears that even modest increases in borrowing costs can have a negative impact on credit creation and economic growth. This suggests that, even if we avoid a recession, the outlook for growth is modest at best. Another interesting fact is that, historically, it has almost always been the case that significant Fed tightening has been followed by a recession. Nonetheless, there was one glaring exception in recent years—it took place in 1994 when, after boosting the federal funds rates by 300 basis points, the Fed under then Chairman Alan Greenspan simply reversed course. A recession did not ensue.8 In the current situation, the Fed has boosted the federal funds rate by 225 basis points. It is certainly conceivable that, if the Fed does indeed halt rate increases, that a recession might be avoided. At the same time, one concern is that if a recession does come, the already low level of interest rates suggests that the Fed lacks adequate fire power to fight the next recession. After all the federal funds rate is under 2.5 percent. Thus there is not much room to lower rates. At the start of the last recession, the Fed cut the federal funds rate by 500 basis points. If the Fed cannot fight a recession with rate cuts, what else can it do? The answer is that it could return to quantitative easing (asset purchases), which has proven quite effective, not only in the United States but in the eurozone, United Kingdom, and Japan. The main obstacle, however, is political. Quantitative easing is controversial and not popular among politicians. It is not clear if the Fed would have the will to engage in a controversial policy at a time when it has lately been under pressure from the president and many members of Congress. Yet, in a recession, failure of the Fed to take sufficient action could lead to a deeper downturn. One of the reasons that the US economy has grown slowly in recent years has been that productivity has expanded slowly. The popular definition of productivity is output per hour worked. This is labor productivity, and an important measure. However, economists like to look at multifactor productivity. This is the increase in output after accounting not only for increases in labor, but also increases in capital. In other words, labor productivity might increase simply because workers are given more computers or machines. But that measure fails to sift out the impact of technological or process innovation. Multifactor productivity, however, basically measures the degree to which the economy is simply becoming more efficient as a result of innovation. In the long term, it is what matters most. And the good news is that, in 2018, it grew 1.0 percent, the fastest gain since 2010.9 Then again , from 1996 to 2004, multifactor productivity grew more than 1.0 percent in all but one year—and often grew much faster than 1.0 percent. That was a unique period, during which the benefits from the computer and internet revolution began to be fully realized. In recent years, however, despite enormous innovation, productivity has lagged owing to a failure to implement technologies in a way that make a significant difference. Perhaps that is starting to change. It is too soon to tell. One year does not make a trend. IHS Markit has released preliminary (flash) PMIs for manufacturing in the United States, Europe, and Japan, and the results indicate a significant weakening of the global manufacturing sector, especially in Europe. The PMI is a forwardlooking indicator meant to signal the direction of activity the industry. It is based on sub-indices such as output, new orders, export orders, pricing, inventories, employment, and sentiment. A reading above 50 indicates growing activity; the higher the number, the faster the growth—and vice versa. In the United States, the PMI for manufacturing fell from 53.0 in February to 52.5 in March, the lowest level in 21 months.10 It is now at a level indicating modest growth in activity. The sub-indices for output, new orders, and employment all weakened. The separate services PMI, however, performed much better, indicating that the US services sector remains healthy. Price pressures weakened, with input prices rising at the slowest pace in two years. This bodes well for a decline in inflation. Overall, Markit said that the PMI data for the first three months of the year is consistent with annualized GDP growth of a bit over 2.0 percent. Given that the US economy grew 2.9 percent in 2018, this would clearly be a deceleration. In the eurozone, the PMI for manufacturing fell from 49.3 in February to 47.6 in March, the lowest in 71 months.11 This is a level consistent with a significant decline in activity. The sub-indices for new orders and export orders fell to their lowest since 2012. The separate services PMI indicated modest growth in activity. Thus, Markit concluded that data for the first three months of the year are consistent with annualized GDP growth of only 0.8 percent. Moreover, with very weak order backlogs, Markit also concluded that second quarter growth could be even weaker. The weakness of manufacturing in the eurozone was especially pronounced for Germany, where the PMI hit 44.7, a 79-month low and reflecting a sharp decline in activity. The sub-index for export orders fell to the lowest level since 2012. Order backlogs fell to their lowest level in nearly 10 years, boding poorly for output in the coming months. In France, however, the PMI hit 49.8, a level indicating a very modest decline in activity. Japan’s PMI for manufacturing remained unchanged in March at 48.9, indicating a moderate decline in activity.12 The sub-index for output fell to the lowest level in three years. The sub-indices for new orders and export orders both fell, while the sub-index for employment rose. Japan’s manufacturing sector has lately suffered from weak external demand, especially from China. Tom Simmons, an economist at Deloitte UK, offers a perspective on the historic events unfolding in Britain. Just 14 days ahead of the United Kingdom’s scheduled departure from the European Union (EU) on March 29, uncertainty abounds. This week members of the House of Commons voted on a number of issues relating to Brexit, in what was at times a chaotic few days. As the dust settles, all options remain possible, from an exit without a deal in two weeks’ time to the United Kingdom remaining in the EU. After a week of high drama in Westminster, we know that the United Kingdom will ask the European Union for a delay to Brexit. The length of the extension depends on whether the prime minister’s deal, which was voted down for a second time this week, passes on the third attempt next week. If it is approved, the United Kingdom will ask the EU for a short, technical extension to the end of June to put the necessary legislation in place. If the House of Commons rejects the deal, London will ask Brussels for a longer extension, probably of a year or more. Any request for an extension must be unanimously agreed by all 27 EU member states, which seems likely, though is by no means certain. On Tuesday the House of Commons rejected Prime Minister Theresa May’s withdrawal agreement with the EU for a second time, and by a huge margin of 149 votes.13 The deal was voted down partly because of concerns that Northern Ireland, a part of the United Kingdom, could be left indefinitely in regulatory alignment with the Republic of Ireland and, hence, subject to EU rules. On Wednesday and Thursday members of parliament (MPs) voted against allowing a no-deal exit at any time and voted in favor of asking the EU for a delay to Brexit. Although the vote to block a no-deal exit is not legally binding, it makes this option politically perilous for the government. These votes undermine Theresa May’s position that the choice for MPs is between accepting her deal and exiting the EU without a deal. These events have increased the chance of some sort of cross-party alternative to May’s deal emerging and there being a longer delay to Brexit—which would force the United Kingdom’s participation in European parliament elections this summer. European Council President Donald Tusk tweeted that he will appeal to the EU27 to be open to a long extension if the United Kingdom rethinks its Brexit strategy and builds a consensus for it.14 If May’s deal fails again in the House this week, MPs have been promised a series of indicative votes’ which will assess the consensus around alternatives to the PM’s deal. Despite the damage to the prime minister’s control of the Brexit process, and of her own party, her plan is still the only one on the table. Given the risk of a long delay to Brexit, and the possibility that this will lead to a “softer” Brexit, Eurosceptic MPs may now be more willing to support May’s deal. All eyes are now on this weeks’ vote on the prime minister’s deal, which seems likely to be a closer run thing than the two previous ones. Meanwhile, the range of potential outcomes for the United Kingdom’s relationship with the EU remains as wide as ever, including a no-deal exit, a further vote on the prime minister’s deal, a renegotiation with the EU, and another referendum. The deadlock over Brexit means a change in the leadership of the Conservative Party, but a general election and a change of government are also possibilities. Despite last week’s votes a no-deal Brexit remains a significant risk since, in the absence of an agreed deal, it is the default scenario under Article 50. A cross-party coalition supporting a close relationship with the EU or some amended version of the prime minister’s deal could yet emerge. However, putting together a significantly different exit plan at this late stage, agreeing it with the EU and Parliament, would be politically fraught and practically challenging. Separately, the UK Chancellor of the Exchequer Philip Hammond delivered his Spring Statement,15 one of two annual fiscal announcements made by the government. There were no material changes to fiscal policy, but he provided an update on the economy and presented forecasts from the independent Office for Budget Responsibility. On this account, the economy is in a lot better shape than the news on Brexit would make you believe. Economic growth is forecast to slow from 1.4% in 2018 to 1.2% this year, before rebounding to 1.6% (average) over 2020–2023. Real incomes are forecast to rise for the next six years, the longest period since before the financial crisis.16 There has been a marked improvement in the public finances with increased tax receipts and lower interest repayments on debt. This improvement has provided the chancellor with scope to increase spending, which he promised to do if a Brexit deal is done in the coming weeks. This sunny view is predicated on the United Kingdom leaving the EU smoothly, and with a deal. The message from the chancellor is that with an orderly Brexit, better times lie ahead. Factory output in China continues to weaken.17 The Chinese government reported that in January and February, combined industrial production was up 5.3 percent from a year earlier, the slowest growth since the government started keeping records in 1995. The first two months of the year are combined because the timing of the Lunar New Year can strongly influence the outcome for each individual month. The output of manufacturers was up 5.6 percent from a year earlier. The most widely cited cause of the weakness is the trade dispute between the United States and China. It was already reported earlier that Chinese exports have fallen sharply, largely because of a drop in exports to the United States. That, in turn, was due to the tariffs imposed by the United States. Additionally, uncertainty about the outcome of talks between the United States and China could also be having a chilling effect on the willingness of companies to produce goods for export, or to invest in new capacity. Meanwhile, the Chinese government reported that retail sales were up 8.2 percent in the January and February timeframe versus a year earlier,18 the same as in December, and also a historically low growth rate. In addition, fixed asset investment was up 6.1 percent in the first two months versus a year earlier.19 This indicator has accelerated modestly in the last few months, but the growth rate remains far below what has been typical in the past two decades. Private sector investment was up 7.5 percent, while public sector investment was up 5.5 percent. In addition, property investment was up a strong 11.6 percent in January/February, an acceleration from December. However, property sales were up only 2.8 percent, a substantial deceleration from earlier. Thus, the stage is set for a further increase in the inventory of unsold property. Finally, the government reported that the unemployment rate increased from 4.9 percent in December to 5.3 percent in January/February.20 All of this data suggest that the Chinese economy began 2019 with relatively weak growth. However, the data on retail sales and investment suggest that the economy may be stabilizing at a lower rate of growth. The surge in property investment likely reflects the impact of stimulus measures. Acknowledging the weakness of the Chinese economy, Premier Li said that the government will fight the slowdown with lower taxes and less regulation,21 rather than an easing of monetary and fiscal policy. He said that the government would help private business by cutting the value added tax as well as cutting employer contributions for state pensions. The goal is to boost employment. In order to avoid a sizable increase in the budget deficit, however, the government intends to have state-run companies and banks send a larger share of their profits back to the government. Thus, the gist of the policy appears to be one of providing more funds to the private sector and removing funds from the state sector. This will likely be e controversial, and certainly represents a shift from the recent direction of policy. Moreover, despite the premier’s evident preference for policies that boost private sector investment, the reality is that the central bank has engaged in monetary stimulus in recent months.22 This has happened despite comments from Li suggesting that such policies pose risks to the economy. He has raised questions about the potential impact of monetary stimulus on the overall level of debt.23 His public debate with the central bank suggests likely deep divisions at the highest levels. Finally, the former governor of China’s central bank, Zhou Xiaochuan, says that China must learn the lessons of Japan’s economic stagnation that began in 1990 following a period of robust growth. Zhou said, “Japan had very fast development and later a so-called lost decade. The Chinese economy may have a similar over-leveraged problem, and we need to absorb the knowledge and lessons from what happened.”24 China has lately been afflicted with slower economic growth, high levels of debt, increasing defaults on bonds, and an increase in the ratio of non-performing bank loans. These factors are similar to what happened in Japan in the 1990s. Zhou said that the solution is financial reform, a process under way, but one that he acknowledged has been too slow. In Japan, the problem was that banks continued to roll over the debts of troubled companies rather than resolve bad loans. The end result was a paucity of productive credit creation. Something similar might be happening in China at the moment, and Zhou believes that it must be avoided in order to avert a further slowdown in growth. The Bank of Japan left monetary policy unchanged, with the benchmark short-term interest rate at -0.1 percent.25 In addition, it pledged to continue purchasing bonds with the goal of keeping the yield on the 10-year bond at 0.0 percent. This was not unexpected. However, the bank acknowledged that Japan faces external headwinds that are having a negative impact on growth, especially the weakness of China and the Chinese trade war with the United States. At the same time, the bank continued to predict, as it has for the past five years, that inflation will soon accelerate toward the 2.0 percent goal. This is likely not credible, especially given the evident weakness in the Japanese economy. Moreover, while no one doubts that the Bank of Japan (BOJ) will retain an easy monetary policy, it is not clear that the current policy will, indeed, boost inflation or avert another recession, especially as the government intends to boost the national sales tax later this year. Rather, some analysts are asking whether a more aggressive policy might be needed.26 A shift in BOJ policy is not likely. Deloitte released the United States economic forecast for the first quarter of 2019 on Wednesday.27 Dr. Daniel Bachman, an economist with Deloitte US, produces this quarterly forecast. Given below is a summary of his latest findings. The forecast is slightly more optimistic than the previous forecast published in December, but still shows GDP growth slowing in 2019 and 2020. There has been some good news about some of the risks facing the US economy. The Fed stopped raising interest rates, leaving them about 75-100 basis points below what we had expected. Also, it appears (so far) that the US-China trade differences are likely to be resolved without any significant economic shocks. The tariffs put in place so far (both in the United States and in its trading partners) are likely to slow growth, however, and the threat of additional US tariffs (on automobiles, for example) remains significant. The US budget will continue to pose substantial risk to the economy, both because Congress must pass, and the president sign, appropriations bills by September 30 to avoid another government shutdown—and because the debt ceiling will have to be raised by the fall. GDP growth is expected to come in at 2.3% in 2019, slowing to 1.1% in 2020. Longer-term growth should be around 1.7-1.8 percent. Business fixed investment could decelerate from 6.8% in 2018 to 3.3% in 2019 and just 1.0% in 2020. The forecast includes one additional Fed funds hike (at the July meeting). The longer-term Fed funds rate is therefore 2.625% (midpoint). The 10-year Treasury yield is expected to rise to 3.7% in 2020 as interest spreads return to normal. Corporate profits may fall in 2019 and 2020 (about 1.5% each year) as growth slows. Profits likely to pick up after 2020. Job growth could slow in the second half of 2019 as full employment is reached, and the economy starts to slow. Job growth is likely very slow in 2020. The unemployment rate rises a bit to just below 4.0%, and then stays at that level. With the US Federal Reserve having shifted to a policy of “patience” with respect to interest rate increases, it was reasonable to expect that the value of the US dollar would decline. Instead, it has risen and is now 10 percent above the low reached in 2018. Yet the strength of the dollar is not due to anything happening in the United States. Rather, it reflects the weakness of other major currencies. In Europe, the euro is under downward pressure owing to the weakening of the eurozone economy and the decision of the European Central Bank to maintain an easy monetary policy. In the United Kingdom, Brexit uncertainty is putting downward pressure on the pound. In Japan, a weakening economy, combined with continued historically low interest rates, has put downward pressure on the yen. And in Canada, a weaker-than-expected economy is putting downward pressure on the loonie. What will be the impact of a high-valued dollar? First, it hurts export competitiveness for US companies. Second, by raising import prices, it suppresses US inflation. Third, it boosts the cost of servicing dollar-denominated debts in other countries, thus potential creating problems for debtors in emerging markets. The US trade deficit widens. Does it matter? The trade policies of the US administration are meant to reduce the US trade deficit, but it has not happened. Indeed, it was reported last week that the US trade deficit widened in 2018 to the highest level in 10 years.28 While this was not the intent of the administration, it was not a surprise. A year ago, many economists—myself included—had said that the tax cut enacted in late 2017 would boost the size of the US trade deficit. Our prediction was not an instance of great insight. Instead, it was a recognition of simple arithmetic. A trade deficit is, arithmetically, the counterpart to the difference between what a country invests and what it saves. The tax cut, by requiring more government borrowing, meant that the government would appropriate a larger share of private sector saving, thereby leading to a bigger gap between private saving and business investment. That gap must be filled by importing capital from overseas. In order for that to happen, foreigners must lend money to Americans or buy American assets. To do so, they must acquire more dollars than they spend. In other words, they must run a trade surplus with the United States, which means that the United States must run a trade deficit with the rest of the world. Changing trading rules will not change this arithmetic. If a tariff on one country reduces imports from that country, then the United States will import more from another country. If tariffs are increased on all countries, then the currency’s value will change to offset the impact. Actually, a rising trade deficit is often a sign of economic strength, not weakness. It is usually the case that, as an economy strengthens, its trade deficit rises or its trade surplus declines. That is because a strong economy implies strong demand, which includes demand for imported goods. Thus, the very large US trade deficit in 2018 reflected, in part, the fact that the US economy grew unusually rapidly—largely because of the tax cut. With the trade dispute between the United States and China having been underway for almost a year, it would be worthwhile to understand the economic impact. A new study conducted by economists at Princeton, Columbia, and the Federal Reserve Bank of New York found that the tariffs imposed by the United States had a significant negative impact on US consumers and businesses.29. It revealed that Chinese exporters did not, on average, lower their prices to offset the tariffs. Thus, US consumers faced higher prices as a result of tariffs. It also found that the costs incurred by US manufacturers have risen as a result of tariffs on intermediate goods, and that there has been a large change to supply chain networks as a result. Moreover, changing supply chains has incurred costs that would otherwise not have happened. Finally, the study found that the retaliatory tariffs imposed by China had a similar negative impact on the Chinese economy. Thus, the main impact of tariffs has been on the country imposing the tariffs. This analysis only looks at the short term direct impact of tariffs and does not consider the impact of uncertainty on investment, or the longer-term impact if the tariffs are retained. China’s government reported that exports fell 20.7 percent in January versus a year earlier, a clear indication of the toll that the trade war is taking.30 Moreover, equity prices fell sharply in response to the trade figures. Equity prices in other Asian countries fell as well. Of course, the timing of the Lunar New Year can influence export data. Thus, it is useful to combine data from January and February—the combined exports in these two months were down 4.6 percent from a year earlier, which indicates that trade flows are weakening, largely owing to the trade war with the United States. Indeed, in these two months exports to the United States were down 14.6 percent from a year earlier. Imports from the United States fell 35 percent while overall imports were down only 3.1 percent. Meanwhile, the Chinese government is keen to complete a trade deal with the United States. As such, it is planning to pass a new law that will lift restrictions on foreign investment, halt forced technology transfers, and thereby assuage the concerns of the US government. A Chinese official said that the law will “promote foreign investment, protect the lawful rights and interests of foreign investors in the new era”, and “foster a market environment in which domestic and foreign capital compete on a level playing field. With this new law and specific supporting regulations and rules, we will improve the legal system to promote, protect and regulate foreign investment activity and make our foreign investment work more law-based.”31 An important issue will be the degree to which the new law is enforced. For the United States, another issue will be how to ensure enforcement and what remedies will be allowed should enforcement not take place. These issues are under discussion. Moreover, critics say that the law is written in a way that leaves room for exceptions.32 This, too, will be a source of discussion between the United States and China. Finally, it is reported that US President Trump is prepared to “walk away” from a trade deal if it isn’t “great.”33 Moreover, the planned meeting between Trump and Chinese President Xi has, again, been postponed. This suggests that the two sides might be farther apart than previously assumed. Is China’s economy smaller than we thought? In China, there is often skepticism about the reliability of official economic growth figures. That is, there is a widespread view that the numbers reported by the government are tainted by the political considerations of regional officials. Now, some researchers from Hong Kong and Chicago have estimated the degree to which the official numbers have been overstated,34 and have offered an estimate of the true size of the Chinese economy after a decade of slower-than-reported growth. The researchers note that China’s GDP numbers are based on data collected by local governments. Yet local officials are rewarded for meeting specific growth targets. Thus, there is an incentive to boost the numbers. Instead, the researchers looked at value added tax (VAT) data from both local and national governments, and used that data to estimate output of several key industries. Based on these estimate, as well as other local government data, they inferred national GDP numbers. They found that, in during 2008 to 2016, annual real GDP growth was actually 2.0 percentage points lower than what the government reported. They also estimated that, by 2016, overall GDP was actually 16 percent lower than reported. Interestingly, the researchers say that savings were lower than reported and that, as a consequence, a larger share of economic activity came from consumer spending than reported, and that investment was lower than reported. The lower growth means that the size of China’s economy is considerably further from matching that of the United States than previously believed. The European Central Bank (ECB) is evidently concerned about the rapid slowdown of economic growth in the 19-member eurozone. As such, it announced last week that it will hold interest rates steady at least until 2020.35 In addition, as previously signaled, the ECB intends to offer low-interest loans to commercial banks in the eurozone, starting in September. The decision to offer loans comes only three months after the ECB announced that it will no longer purchase government bonds (a policy known as quantitative easing). The ECB said that although it will not purchase bonds, it will continue to reinvest the proceeds from maturing bonds, thereby keeping its balance sheet unchanged. On the positive side, three major economies in the eurozone— Germany, Italy, and France—are engaged in a modest fiscal stimulus, which could have positive effects on growth. Prior to last week, the preponderance of evidence suggested that there was strong job growth in the United States in February. Yet last week, the US government reported unusually weak job growth, with the establishment survey indicating only 20,000 new jobs created, even while it also reported strong wage gains that emanated from a tight labor market. This begs the question: was the slow job growth an accurate portrayal of reality? Or was this data, which is the result of a survey of a sample of establishments, a statistical error? It may actually be a bit of both. There is no doubt that the labor market is exceptionally tight. The National Federation of Independent Businesses (NFIB) says that 37 percent of its members have vacancies that they cannot fill.37 Moreover, the government upwardly revised job growth estimates for January, with job gains in excess of 300,000. Looking at the last three months together, which is a better measure than looking at any single month, offers a glimpse of continued strong job growth. Also, there is a lot of data pointing to strong job growth in February. ADP, the payroll processing company, estimated that 183,000 private sector jobs were created in February. In addition, the NFIB and the Institute of Supply Management both estimated strong job gains in February as well. Finally, the government’s own survey of households suggests strong job gains.38 Thus, the government’s establishment survey numbers could, in part, involve a statistical fluke. They could also reflect a shortage of available labor. In any event, let us look at the government data. The US government releases two job market reports: one based on a survey of establishments, the other based on a survey of households. The establishment survey found only 20,000 new jobs were created in February, the lowest number in 17 months.39 By contrast, 311,000 jobs were created in January and 227,000 in December. The report said there was a sharp 31,000 decline in employment in the construction industry. At the same time, it continued to report strong job growth in professional and business services. Indeed, this category saw 42,000 new jobs. Notably, the government reported that average hourly earnings of workers were up 3.4 percent from a year earlier, the fastest wage gains in a decade. That is indicative of the tightness of the labor market. The separate household survey indicates that job growth continued to exceed the growth of the working age population.40 It also indicated that labor force participation remained unchanged. The result was that the unemployment rate fell to 3.8 percent. The continued acceleration in wages could augur a further tightening of monetary policy by the Federal Reserve. However, labor market data tends to be a lagging, rather than a leading, indicator of the direction of the economy. Other data continue to suggest headwinds for the economy, even as the labor market tightens. In the last decade, we have seen dramatic improvements and innovations in technology. Technological innovation is what generates productivity gains. And yet, in the past decade, productivity growth in the United States and other industrial economies has been modest at best, despite amazing new technologies. Productivity is simply output per hour worked. The problem is that there tends to be a long lag between innovation and productivity growth. This is because it takes time for businesses to figure out how to take advantage of new technologies, and then to invest in them and implement them. However, in 2018, productivity in the United States finally started to accelerate. Last week it was reported that in the fourth quarter, productivity grew at an annualized rate of 1.9 percent.41 This followed growth of 1.8 percent in the third quarter and 2.8 percent in the second quarter. By comparison, productivity had grown at a 1.3 percent rate for the previous decade. Why did productivity accelerate? One explanation is that, in the midst of a tight labor market characterized by rising employment costs and shortages of skilled labor, businesses have chosen to invest in labor-saving technology. Indeed, compensation rose in the fourth quarter at a 3.9 percent rate. After adjusting for inflation, real compensation rose at a 2.4 percent rate. For consumers, this means increased purchasing power. For businesses, it means higher employment costs and an incentive to boost productivity. It remains unclear, however, as to whether the acceleration in productivity in 2018 was simply a cyclical reaction to the labor market or it signals a shift toward permanently higher productivity growth due to technological innovation. Time will tell. Is corporate debt a risk to the global economy? Global financial regulators are concerned about the growth of the leveraged loan market. This market involves the practice of extending credit to high risk, highly indebted companies. More importantly, the regulators are worried that the securitization of these loans is creating risk, just as securitized mortgages did 10 years ago. Lately, financial institutions have been selling bundles of leveraged loans in the form of collateralized loan obligations (CLOs). Recall that a decade ago, the so-called collateralized debt obligations (CDOs), which were bundles of sub-prime mortgages, were meant to provide investors with a way to spread risk. Yet the reality was that many of the CDOs involved a concentration of risk. Thus, when house values fell, many of the CDOs failed, leading to huge losses that contributed to the seizing up of global credit markets. That, in turn, precipitated the worst global downturn in 80 years. Today, regulators are concerned about the concentration of risk in the CLO market. The Financial Stability Board (FSB), a global consortium of regulators led by a Federal Reserve Governor—Randall Quarles—is looking at the CLO market to determine the degree of risk. Their concern is that in the event of a decline in the value of CLOs, financial institutions that hold CLOs could face significant losses. Quarles said, “From a financial stability risk point of view we need to know more about that than we do and we have set up a process at the FSB to understand that. Is there a cross-border or cross-cutting supervisory or regulatory response that ought to be taken to mitigate that risk? That is how we would expect to see this evolving if the analysis were to show there are some respondable risks there.”42 Moreover, Quarles noted that the overall market for bonds issued by non-financial corporations in the United States is now a larger share of GDP than just prior to the last financial crisis. At the same time, Quarles said that US banks are not highly exposed to CLOs, although that might not be the case for non-US banks as well as non-bank institutions. He expressed confidence that central banks can compel commercial banks to boost capital buffers should they determine that the banks are too highly exposed to risky assets. Indeed, spreads have risen, although they remain well below the levels reached at the time of the last recession. In the past, recessions often came about because in the aftermath of a tightening of monetary policy and a drop in asset prices, high degrees of leverage led to a seizing up of credit market activity. In 2007–08, that happened in reference to the housing market. In the next downturn, it could be that the corporate bond market will create problems. The US government published its first estimate of economic growth in the fourth quarter of 2018. The report indicated that the economy grew at a modest yet healthy pace in the fourth quarter.44 Overall real GDP was up at an annualized rate of 2.6 percent from the third to the fourth quarter. This was considerably slower than in the second and third quarters. However, unlike the third quarter, most growth did not stem from inventory accumulation. For all of 2018, the economy grew 2.9 percent compared to the previous year. This was the best performance since 2015 when the economy also grew 2.9 percent. Here are the details of fourth-quarter growth. Consumer spending grew at a rate of 2.8 percent in the fourth quarter compared to 3.5 percent in the quarter before. Yet while spending on nondurables and services decelerated, spending on durable goods grew more rapidly. Spending grew slower than real disposable income, which was up at an annual rate of 4.2 percent. Households increased the share of their income that they save. Moreover, the government separately reported that there was a very sharp decline in consumer spending in December.45 This is consistent with previous data showing a drop in retail sales in December. Specifically, real (inflation-adjusted) personal spending was down 0.6 percent from November to December, the sharpest monthly decline in nine years. Spending on goods was down 1.4 percent, including a 1.9 percent decline in spending on durables. Even spending on services declined slightly. The drop in spending in December was accompanied by a sharp increase in the personal savings rate. It rose from 6.1 percent in November to 7.6 percent in December. Business investment accelerated in the fourth quarter, rising at the rate of 6.2 percent compared to only 2.5 percent in the third quarter. In both the third and fourth quarters, business spending on structures actually declined. Yet spending on equipment and intellectual property grew 6.7 percent and 13.1 percent respectively in the fourth quarter. The boost to investment was probably the most notable aspect of the report, especially after such weak investment growth in the third quarter. A tight labor market, which has caused shortages of labor in some industries, might be causing businesses to invest in labor-saving technology. Residential investment declined for the fourth consecutive quarter, falling at the rate of 3.5 percent in the fourth quarter. The housing market has been stagnant for the past year owing to higher mortgage interest rates, changes to the tax law, and rising house prices. However, the weakness of housing has already generated a deceleration in prices. Trade made a negative contribution to growth, with exports rising only 1.6 percent in the fourth quarter while imports were up 2.7 percent. Imports had soared in the third quarter as businesses rapidly imported products in anticipation of higher tariffs. That explains the surge in inventories in that quarter. Trade conflicts and uncertainty as well as slower growth in Europe and China have contributed to the weakness of exports. Going forward, the direction of trade will depend heavily on the outcome of the simmering dispute between the United States and China as well as whether the United States imposes tariffs on imported automobiles. The GDP report indicates that the economy remained relatively healthy in the fourth quarter. This will likely reassure the Federal Reserve that the headwinds to which it has pointed have not yet caused a significant slowing. That fact will inform the Fed’s policy decisions in the months ahead. At the same time, the modest level of growth likely shows that the positive impact of last year’s tax cut has already faded. Moreover, given that the economy is now operating at nearly full capacity and full employment, it is not likely that there will be a sustained uptick in growth in the coming year. Rather, given the various headwinds (slow growth overseas, trade restrictions, tighter credit markets), it seems likely that growth in 2019 will be considerably slower than in 2018. Indeed, the Fed now predicts growth of 2.3 percent. Moreover, Deloitte’s baseline forecast is also for growth of 2.3 percent. Financial markets heaved a sigh of relief upon learning that the United States will postpone imposing higher tariffs on China, especially as President Trump strongly hinted that a trade agreement is imminent. Thus, now is a good time to step back and take stock of what has happened and what could happen. The tariffs that were put in place in the past year have had a significant impact, but none more so than the 25 percent tariffs that were imposed on US$50 billion in imports from China. The 10 percent tariffs on US$200 billion in imports had a more muted impact. This suggests that if negotiations break down and the United States does follow through on its threat to impose higher tariffs, the impact on Chinese exports could be substantial. Moreover, the retaliatory tariffs already imposed by China have also had a significant negative impact on US exports to China. A recent study by the Institute of International Finance (IIF)46 found that US exports subject to the 25 percent retaliatory tariff by China collapsed. Exports subject to a lower tariff simply stopped growing. This partly explains why the US trade deficit with China increased over the past year. In addition, while China’s imports from the United States fell sharply, Chinese imports from other countries continued to grow as China substituted goods produced in other countries for US goods. The countries that benefitted the most from this were Brazil and Russia. Meanwhile, it remains unclear what kind of deal is likely to emerge from the upcoming talks between the two countries’ presidents. If the deal does not significantly address the structural issues about which the United States has complained, the US administration may face resistance from trade hardliners in both US political parties. At the same time, many analysts doubt that China will be amenable to changes that affect the structure of the Chinese economy, especially any reduction in subsidies for state-run companies. One of the complaints of the US government is that China has an excessively large trade surplus. From the US government’s perspective, the surplus means that Chinese products are flooding the United States in competition with US producers, thereby causing unemployment, and that China is failing to import a sufficient volume of goods from the United States. Yet China’s large surplus is not the result of trade restrictions or rules, or even the value of China’s currency—despite the protests by the United States and other countries. Rather, the trade surplus can be explained by China’s unusually high level of saving. A trade surplus is the counterpart of an excessive level of savings, while a trade deficit is the counterpart of a low savings rate, as is true of the United States. In the case of China, households and businesses together save an unusually large share of GDP. The country forgoes consumption in order to invest, and indeed investment as a share of GDP is also unusually high—yet not as high as saving. The result is that the country has excess savings that must be invested overseas. And if a country invests overseas, it must run a trade surplus. Think of it this way: by saving more than it invests, the country is producing more than it consumes. Likewise, a trade surplus implies that the country is producing more than it consumes. How much does China save? In 2017, total savings of households, businesses, and government amounted to 45.8 percent of GDP.47 By comparison, saving was 18.9 percent of GDP in the United States, 28.0 percent in Japan, and 26.4 percent for the whole world. Moreover, household saving represents the preponderance of overall saving in China. One result of this is that consumer spending in China has an unusually low share of GDP at 38 percent, compared to a global average of 60 percent and more than 70 percent in the United States. The International Monetary Fund (IMF) has pointed out that if Chinese households spent the same share of income as Brazilian households, then their standard of living would be double what it is today. So why do Chinese households save so much? In a recent study, the IMF offered some thoughts on this.48 First, the very low birth rate has meant that spending requirements for families are modest. It also means that there are few children available to support their elderly parents who must save for their retirement. Second, the shift from state-run to private sector companies has meant fewer guaranteed benefits, such as health care coverage and pensions. Third, the booming housing market has been an attractive investment for Chinese households, who must save considerably for down payments. Finally, the lack of a significant social safety net means that households have a strong incentive to save for retirement or for a rainy day. In any event, as long as China saves so much, it will continue to have a trade surplus. From China’s perspective, however, it would be a good thing to reduce saving. First, it would enable households to enjoy a higher standard of living. Second, it would enable China to reduce a lot of inefficient investment and focus on investments that generate the best return. Stories of empty apartment complexes, office buildings, and shopping malls abound. Finally, if more growth were to come from consumer spending, China could become less dependent on exports. In addition, global companies that sell consumer goods and services would benefit enormously from a surge in Chinese consumer spending. One promising fact is that several other Asian countries that previously had very high savings rates saw those rates decline as those countries became more affluent. This was true of Japan, South Korea, and Taiwan, all of which saw their savings rates peak when incomes were roughly comparable to China’s current level.49 That suggests that China might soon experience a decline in its savings rate. Of course, much will depend on government policies. In the other countries, declining savings rates coincided with the development of better social safety nets, thereby reducing the need for households to save. The same might happen in China. When the eurozone was created two decades ago, the one country where there was greatest resistance to the creation of a common currency was Germany.50 Many German business and political leaders worried that by giving up the highly esteemed deutschmark, Germany would suffer a loss of economic stability and face higher inflation. Meanwhile, there was considerable excitement about joining the eurozone in Italy, a country long plagued by a weak and inflationary currency. The reality, however, turned out to be different. A new study conducted by the Center for European Policy (CEP) in Freiburg found that only two countries in Europe have, on balance, benefitted from the creation of the euro.51 They are Germany and the Netherlands. The CEP study also found that other countries in the eurozone have experienced weaker economic growth than would have been the case if the euro hadn’t been created. It found that the country that lost the most was Italy, followed by France. Why would this be? The main reason is that by giving up their own currencies, countries like Italy and France lost the ability to devalue their currencies in order to offset any loss of competitiveness. Such a loss of competitiveness could come about because of relatively low productivity growth and/or relatively high wage increases. In the case of Germany, without the eurozone, it probably would have experienced an appreciation in the value of the deutschmark, thereby reducing export competitiveness. This raises the question as to how a continental-sized economy can maintain a common currency without putting various regions at a competitive disadvantage. The United States provides a good example, where particular regions have, at certain times, lost competitiveness owing to specific shocks. For example, in the 1980s, some Midwestern industrial states, such as Michigan, lost competitiveness owing to the rise of Japanese manufacturing prowess. Michigan was not able to devalue its currency. Rather, the United States benefitted from labor mobility, having a common fiscal policy and the existence of nationwide regulation of banks. Many workers and their families left Michigan and went to other parts of the United States, thus alleviating unemployment in Michigan. In addition, a common fiscal authority (the US government) shifted resources to economically weak states. Also, when financial stress took place during recessions, the US government, rather than states, provided support for troubled banks. States did not, consequently, face economic ruin stemming from troubles in the banking system, and troubled banks’ problems were more quickly resolved. Finally, US states have traditionally competed with one another to attract investment. They have done this through tax incentives. In Europe, while there has been some labor mobility, it has not been sufficient to prevent high unemployment in some places. Moving from Italy to Germany is much different than moving from Michigan to Texas. Some European governments, such as Italy, have had to contend with weak banks, thereby hurting their own finances. Such banks continue to contribute to weak credit creation. European governments are discouraged from competing with one another for investment as they must adhere to common European Union (EU) rules. Indeed, Ireland has gotten in trouble with the EU because of its low corporate income tax. In any event, the rise of anti-euro populism in Italy and France is not surprising, given the results of the CEP study. Is there a solution that would enable these countries to benefit from the common currency? My own view is that the eurozone would benefit from having a common fiscal authority, more integrated financial regulation (such as eurozone-wide deposit insurance), and greater ability for governments to compete for business investments. Still, it can be argued that the eurozone was never a sensible economic project given the big differences between the economies of member countries. Rather, the eurozone was more of a political project. Indeed, it came about because the French government insisted that Germany commit to a common currency as a price for French acceptance of German unification after the anti-Communist revolutions in 1989. The French felt that a common currency would reduce the ability of Germany to exert excessive power in Europe and would tie the economic fortunes of Europe’s two largest economies, thereby reducing the risk of a future war. This was a reasonable concern given that between 1870 and 1940, France and Germany had fought three wars. Craig Alexander, Chief Economist of Deloitte Canada, offers his perspective on the latest GDP growth numbers for Canada. The Canadian economy stalled in the last quarter on 2018, creating a weak handoff going into 2019 and confirming the notion that a significant economic slowdown is underway. The release of fourth quarter data and revisions to prior quarters indicate that Canadian economic growth slowed from 3.0 percent in 2017 to 1.8 percent in 2018.52 The latest data create a downside risk to our forecast for a further moderation to around 1.6 percent economic growth in 2019. With the economy likely to expand at a below-trend level this year, the Bank of Canada should remain on the sidelines, leaving short-term interest rates unchanged. Real GDP increased by a mere 0.4 percent (annualized) in the final three months of the year. Were it not for a sharp in increase in inventories, the Canadian economy would have contracted 1.1 percent (annualized). The weakness was broad based but was particularly concentrated in business investment. Residential investment plunged 14.7 percent (annualized), following a 5.5 percent decline in the prior quarter, its third quarterly decline in 2018. The figures are not surprising as real estate activity in both new and existing markets broadly lost momentum in 2018 in reaction to tighter mortgage qualification regulations, higher interest rates, and rising indebtedness. A particularly disappointing outcome was a 10.9 percent decline in non-residential investment. After dropping by a similar amount in the third quarter, some reprieve was to be expected in the fourth quarter. Alas, this was not the case, with the fallout of lower energy prices on investment in the oil patch continuing to weigh on business investment overall. Unlike the first half of 2018, household spending did not help much, with growth a mere 0.2 percent (annualized) in the fourth quarter—the weakest showing since the recession. This is consistent with our view that heavily indebted consumers would temper their spending on autos and big-ticket housing-related items. Outlays on goods fell 0.2 percent, while spending on services advanced 0.5 percent (annualized). Net exports contributed to economic growth, but not in a favorable manner. The volume of exports edged down 0.1 percent, but imports fell 0.3 percent, with the latter echoing the weakness in the domestic economy. Indeed, final domestic demand has declined for two quarters in a row, the first time since early 2015. The Canadian economic outlook is somber. Heavily indebted consumers and relatively flat real estate markets will likely constrain the pace of economic growth. Meanwhile, the rotation to export and investment-led growth is likely to be problematic. The global economy is slowing, which will temper demand for Canadian exports and remain a headwind for commodity prices. Continued weakness in the Canadian dollar can only provide a limited lift to export prospects. Moreover, businesses are likely to be cautious in their investment outlays, and weakness in the energy patch looks set to continue. Accordingly, the outlook for economic growth remains modest, making the economy highly vulnerable to any negative economic shocks. 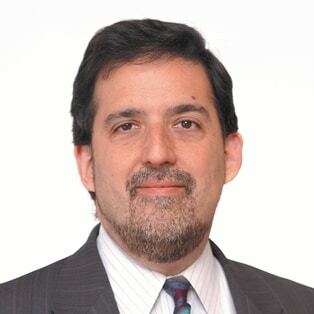 Dr. Ira Kalish is Deloitte's chief global economist and is based in Los Angeles, CA. Weekly global economic update has been added to your bookmarks. Weekly global economic update has been removed from your bookmarks.